See the beauty of the Great Barrier Reef and Port Douglas during a 60 minute flight down the North Queensland Coast. 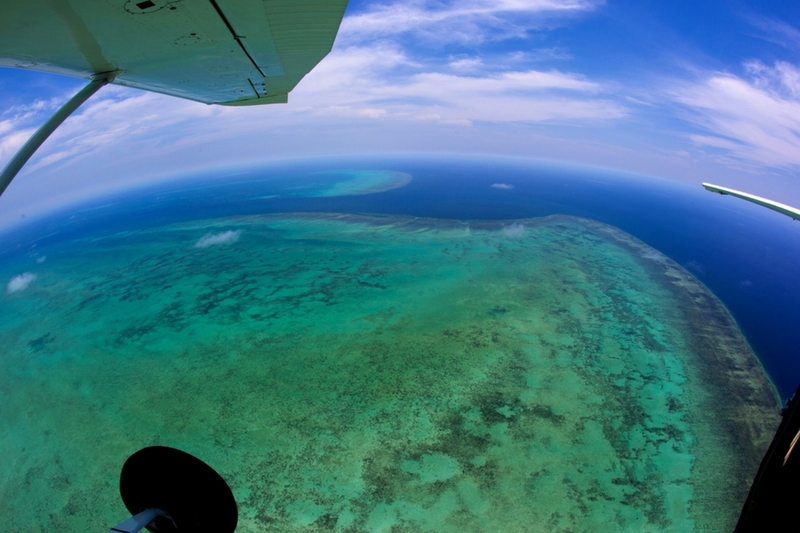 With a window seat for every passenger, you'll have the best point of view to see the amazing reef and surroundings. See the Great Barrier Reef and surrounding area in a whole new way! For 60 minutes you'll fly high above the reef for a birds eye view of this amazing part of Australia. Places you'll see include Cairns, Green Island, Arlington Reef, Middle Cay, Michaelmas Cay, Upolu Reef, Batt Reef, Tongue Reef, Port Douglas, Double Island and Palm Cove.Your 60 minute tour will including commentary from your pilot as well as countless photo opportunities. - Standard weight restriction for baggage is 15kg. Oversize bags may be rejected for carriage regardless of weight, please confirm with booking agent, additional weight is at pilots discretion. You MUST include your body weights and pick up location when booking this tour. Once a reservation has been made a cancellation fee of 100% will be charged if cancelled within 72 hours prior to departure. All cancellations will forfeit up to 30% of total ticket price. We recommend travel insurance.